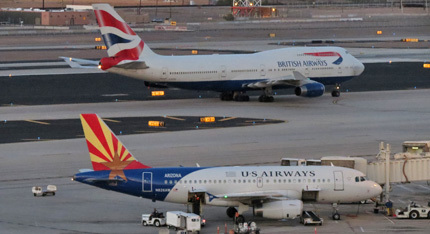 Phoenix Sky Harbor is served by several major airlines. It is home to American (AAL/AA), as well as Mesa Air (YV), which operates as American Eagle. Southwest Airlines (WN) is a major force here as well. 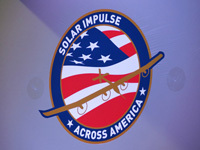 Our purpose for this website is to (hopefully) provide news, information and useful links for plane spotters planning a visit to the Phoenix, Arizona area. As well as for those who enjoy commercial aviation in general. Included are many aircraft photos taken by us (Mike and Steve) at PHX. We hope to update the first and middle of each month, minor updates may occur sooner. Mike (Steve's nephew) was born in Arizona. Steve (Mike's uncle) has lived in Arizona since 1979. We've been plane spotting and photographing as a team for a number of years. We've been to many U.S. Airports, and some in Canada and also Sydney, Australia / Auckland, New Zealand / Nadi, Fiji. We've concentrated on just the Phoenix area for this website. We both live a short distance from Phoenix Sky Harbor. While at Sky Harbor, be sure to pick up a copy of the Phoenix Flight Schedule for more information at any of the Terminal Information Booths, compliments of Phoenix Sky Harbor International Airport. right click on a page link and choose "open in new window"
Click here NOAA WEATHER RADIO LIVE BROADCAST (NWS PHOENIX) for a recorded forecast, using most media players . >Did you know?............Phoenix Sky Harbor celebrated 50 years service in 1985!